Located near the intersection of San Fernando Rd and Western Ave just off I-5, Extra Space Storage serves residents of Glendale and Burbank. Locals will recognize our facility a few minutes south of IKEA Burbank and a few minutes north of Los Angeles Zoo. 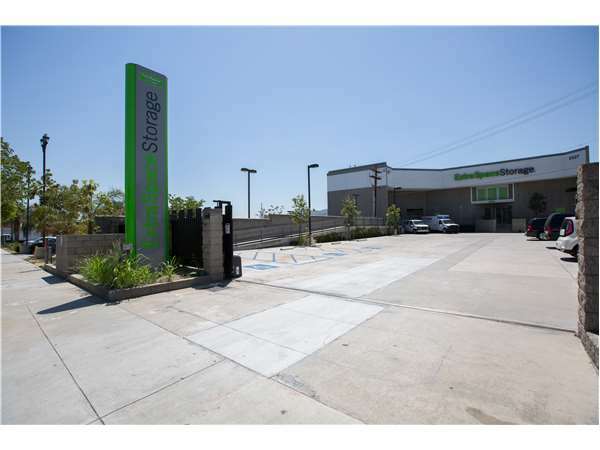 With a wide selection of storage unit sizes, climate-controlled storage, drive-up access, and exceptional security, Extra Space Storage on San Fernando Rd is your ideal storage solution in Glendale! Our Glendale storage facility offers unit sizes from 5x2 up to 10x40 with convenient features like indoor access, first-floor access, drive-up access, and more. We can meet a variety of storage needs! At Extra Space Storage, your safety is our top priority. To ensure you and your belongings are well-protected, our facility is equipped with features like security access to your floor only, 24-hour video surveillance, electronic gate access, and an on-site manager. Protect sensitive items from Glendale's heat with climate-controlled storage. These units maintain an environment between 55 and 80° year-round to prevent temperature-related damage to your belongings. Climate-controlled units are available in sizes 5x2 to 10x40. I am extremely pleased with the experience of renting a room at Extra Space Storage. When my stuff arrived I realized I had underestimated the space I'd need and they were able to accommodate with no fuss. The staff is helpful, knowledgeable and very pleasant to deal with. Great facility with great prices. The Assistant Manager John was a great help. It's a very clean facility with easy access to your unit. The hours are very accommodating and there is plenty of parking. Definitely not new to the storage game have stores at multiple different facilities. This is by far the cleanest. The property manager wasn't annoying either. Very knowledable and not pushy. Competition nearby literally kept bugging me to make a decision. Glad i chose this location. Hope nothing changes anytime soon. If it does I'll let you all know I'm a heart beat. I highly recommend this storage place, because it's close to major freeways, studios, Burbank Airport plus it a safe secure place. The gate hours are very good for business owners. This place is the best storage facility I've ever used. Great access hours, really nice and helpful staff and very clean & secure. The rates are also the best in the city! Highly recommend this place. John and Lou were nice an professional. Everything was explained clearly. They do electronic contracts-so green of them! It is a new and clean facility. They have ample parking, a nicely graded ramp, several carts, loading dock and two elevators (that need your access code to access your floor) for your convenience. I like how the carts are available for use without needing the office to be open and/or using your license as a deposit. The facility is electronically monitored. On the 2nd floor there is venting in the form of wire ceiling at the top of your unit. Bummer about the 2nd floor is that there isn't a bathroom. If you are making long trips and you're keeping hydrated, you should go during office hrs where they have a nice clean bathroom. It's not 24hr access but the hours aren't bad. The storage access hours are 6am to 10pm. The gate is on a timer so don't get locked in! The facility is located off of the 5 and Western exit so it's convenient. Something to keep in mind about insurance is if you have renter's insurance, ask what the coverage is for items in a storage unit and will it work in conjunction with the storage facility's insurance. Also not they have a cylinder lock that you will have to purchase if you do not have one. All in all, a pleasant experience, I would recommend them. Competitive pricing and a great location is what brought me here. But it's the friendly helpful employees, security, -and cleanliness of the facility that will keep me here ! I was driving down San Fernando Blvd in Glendale and saw a new storage faciliy. I've been searching for a place online but I never seemed satisfied by the reviews. I called Extra Space and was greeted with a friendly staff member who set up an appointment for me. I went to look at room availability and got what I needed at a good price. The place is spotless and climate controlled!! The employee on site was really friendly and thorough and I left confident in my decision. Take I-5 South to Western Ave. Exit Western Ave North. Go right and continue over the bridge to San Fernando Road where Joe’s Smog will be at the corner. Right turn. Extra Space Storage is located on the right-hand side just past Fred’s Auto Care and auto body shops. Our address is 6527 San Fernando Rd. Take I-5 North to Western Ave. From off-ramp, make left turn and proceed to Western Ave. Go right and continue over the bridge to San Fernando Road where Joe’s Smog will be at the corner. Right turn. Extra Space Storage is located on the right-hand side just past Fred’s Auto Care and auto body shops. Our address is 6527 San Fernando Rd. From Pasadena, take the 134 W to the I-5 North. Take I-5 North to Western Ave. From off-ramp, make left turn and proceed to Western Ave. Go right and continue over the bridge to San Fernando Road where Joe’s Smog will be at the corner. Right turn. Extra Space Storage is located on the right-hand side just past Fred’s Auto Care and auto body shops. Our address is 6527 San Fernando Rd. From the 101, merge onto the 134 East to San Fernando Rd. Go right from the off-ramp and continue to San Fernando Road. Right turn. Extra Space Storage is located .5 miles down just passing the Golden Farms Market on the left-hand side. Our address is 6527 San Fernando Rd.